Ankergooi and Serenity are managed by the owners, Danie and Louise Gerryts. They have been in the hospitality industry since 2001 and traveled extensively in South Africa and abroad. Danie is also involved with a travel program on the Afrikaans radio station RSG. 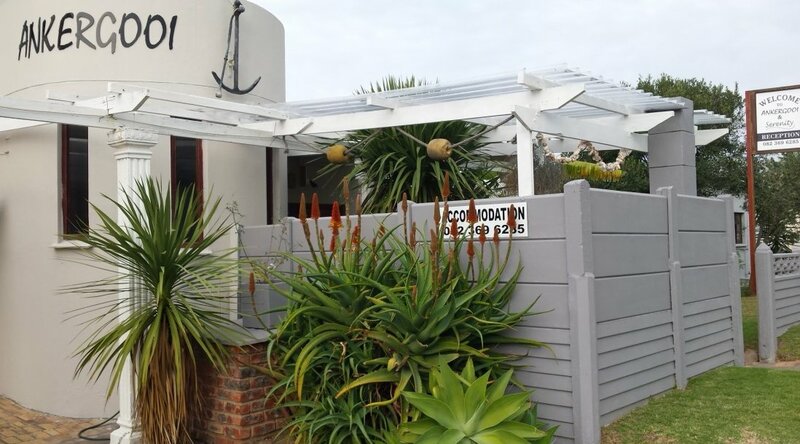 They moved to Stilbaai in 2010 and here their passion for the hospitality and travel industry realized in the founding of Ankergooi and Serenity. They spent a lot of time and energy to make the different units perfect for travelers and holiday makers. Privacy and comfort were the main priorities. Their friendliness and warm personalities soon made guests return and by word of mouth Ankergooi and Serenity became the preferred places to stay. Both Danie and Louise are keen deep sea and inland boaters. The name Ankergooi comes from this passion - if you want to remain at a specific spot, you throw anchor, hence the name Ankergooi. Louise is a very passionate leather crafter for many years and visitors are welcome to visit her workshop on the outer perimeter of the premises. Every guest to Ankergooi and Serenity will also receive a leather key ring to keep as souvenir. Here you will always find something very unique and special to buy. Visit www.louiseleatherdesigns.com or visit Louise Leather Designs on facebook to see more.